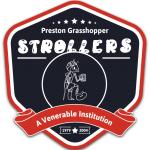 Every team likes to think it is different but the fact is that the Strollers epitomise the spirit of the Hoppers and stand in a long tradition which hopefully will be carried on by the Strollers Colts and their successors. As proof look at this fine body of Hoppers in a picture dating from just 6 years after the club’s foundation in 1869. It only took 104 years for Strollers to pick up where ‘the class of 1875’ left off! 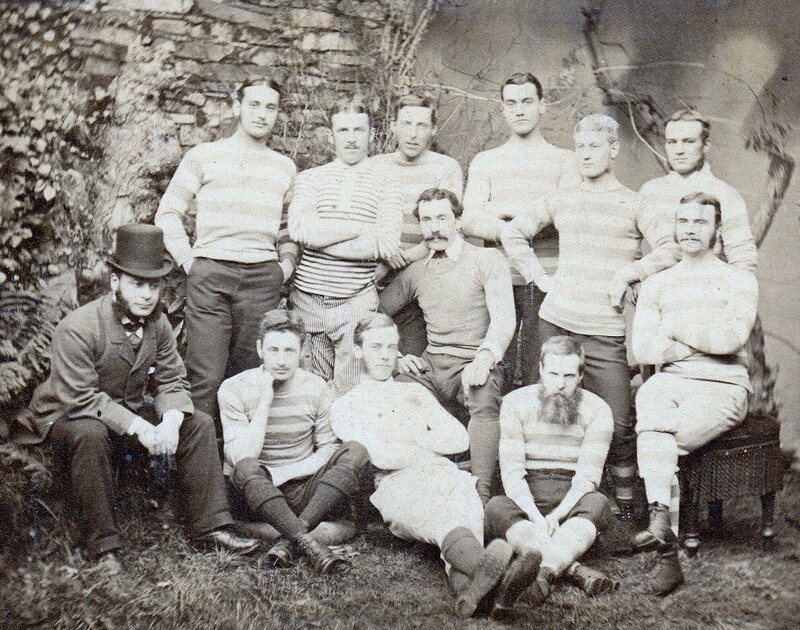 Taken at Ambleside during January 1875 showing members of the team including AN Hornby who is just one of two people to captain England at cricket and rugby standing second from the left. And what did the press report about them? A Creditable Sunday Morning Scene. On Sunday morning last, the members of the Fifth Westmorland (Ambleside) Rifle Volunteers had their annual church parade. There was a very good muster, and the men looked smart and soldier like presenting a very good appearance as they marched through the streets on their way to the church headed by the Bowness Brass Band. No little indignation was expressed at the conduct of the members of the Preston Grasshoppers Football Club, who had come to Ambleside the day previous to play the local club. We suppose, by way of an outlet for their exuberant spirit, committed, what they doubtless think a good practical joke, but what all, sensible people will call by the more familiar name of rowdyism. They paraded in front of the White Lion Hotel, armed, one with a mop, another with a ladder, others with guns, a sword, and alpen stocks, and as the volunteers marched past, fell in at their rear. Following them down nearly to the church gates, when they turned and then charged back along the road at the “double” to the terror and confusion of the inhabitants who were proceeding to church, many of whom took refuge in the adjoining houses. Such disgraceful conduct is anything but creditable to a body of men such as comprise this well-known club, and is a sure way of bringing it into disrepute. If they have no regard for their own good name, they should have a little for the credit of the town to which they belong. It only took 104 years for Strollers to pick up where ‘the class of 1875’ left off! !